NOTE: We need to be on the computer we wish to copy the Address Book from. 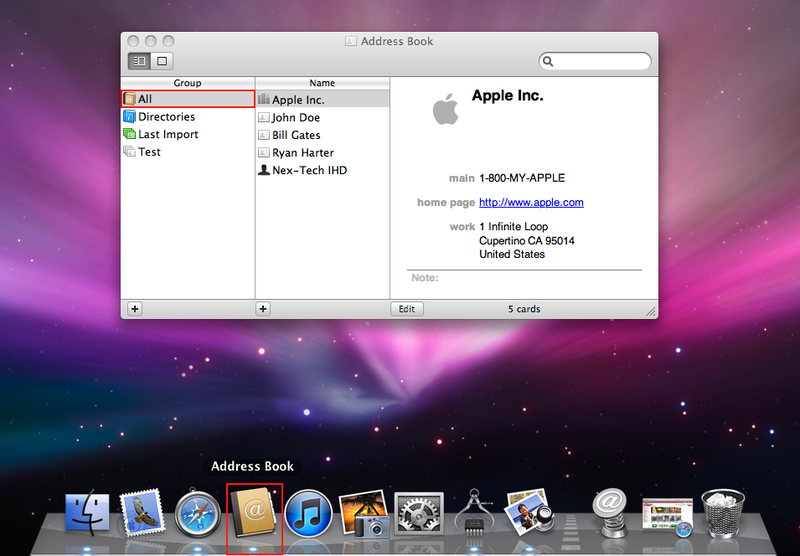 Once your Address Book is open, on the left hand side, click on the group you wish to backup, in this example I will be backing up All contacts. 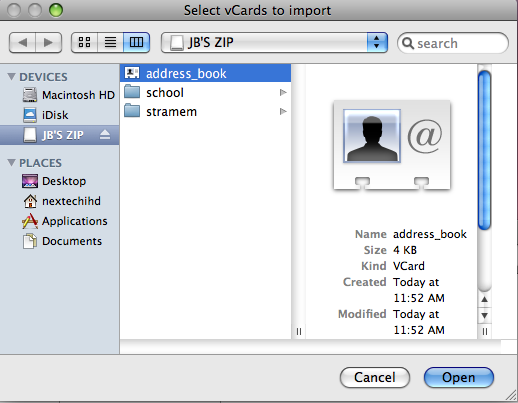 Next, click on File in the top menu, choose Export then Export Group vCard. 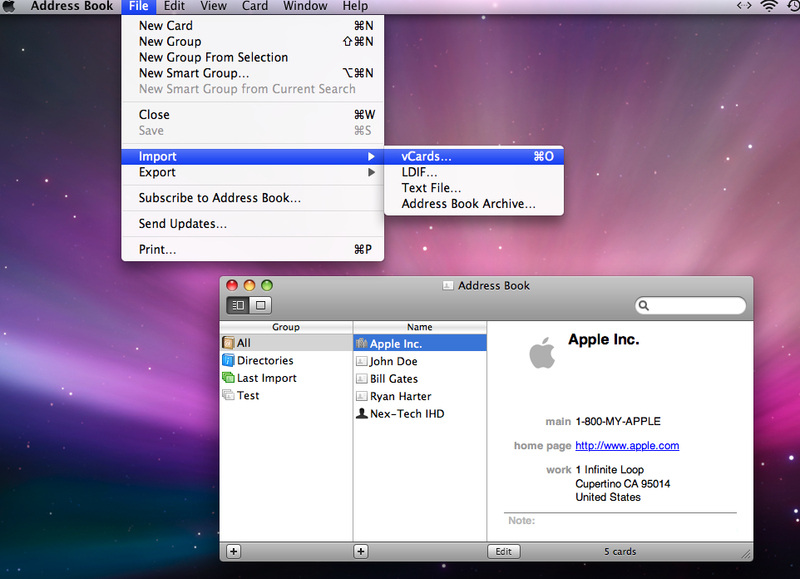 A window should now pop up asking where you would like to save your exported vCard. Most of the time you will want to save this to an external flash drive or a CD to burn the contents too. Once you have your location selected, click on Save. NOTE: We need to be on the computer we wish to import the Address Book to with the Flash Drive or CD we Exported the Address Book inserted in the PC. 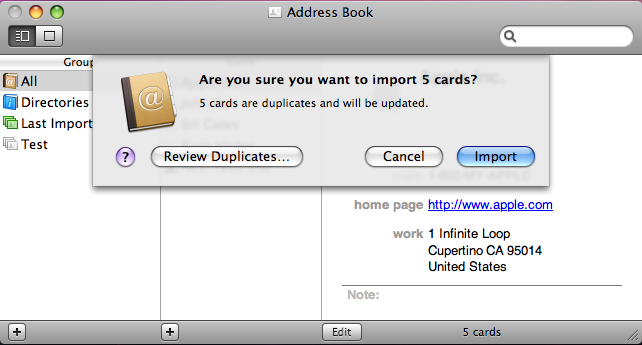 Next, click on File in the top menu, choose Import then vCards. 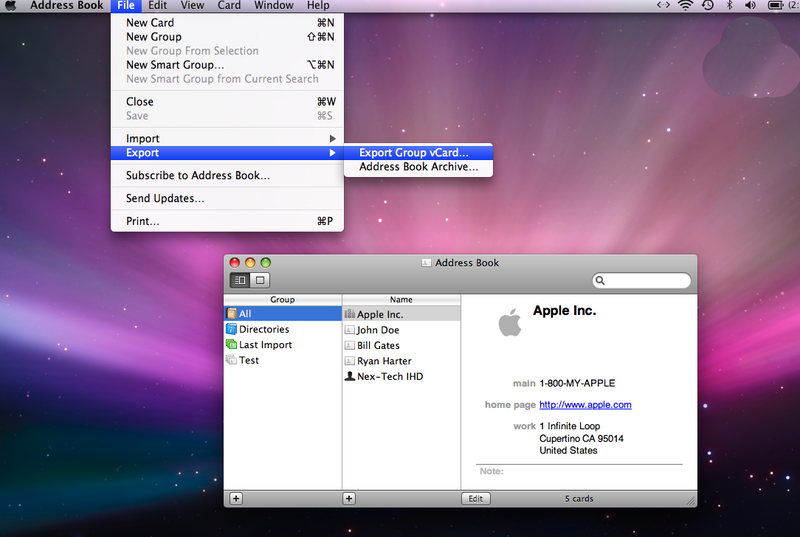 A window should now pop up asking where to import the address book from. Since I backed my contents to an flash drive, I will want to point this import to that location and select address_book (or whatever you choose to name your exported address book) then click Open. If you have any duplicates already in your address book, these contacts will be updated with the imported vCard. If you are satisfied with the contacts to be imported, click on Import. 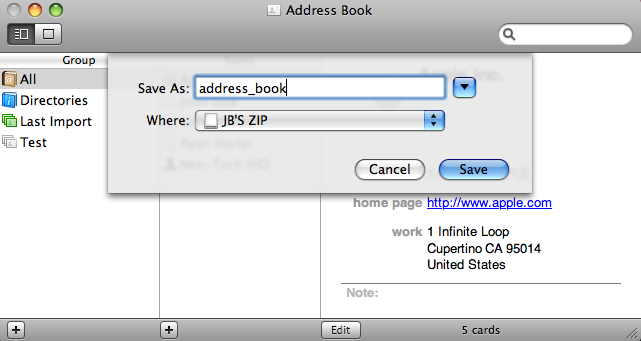 All contacts should now be in this address book. Posted - Tue, Sep 20, 2011 at 12:38 PM. This article has been viewed 65096 times.